These top 4 tips when selecting a shuttle service Orlando to Miami will help you make a perfect choice and get a better understanding of how the ground transportation operates around the state of Florida. Choosing a reliable shuttle service, whether for a daily transportation or other reason, is extremely convenient and a perfect way to enjoy your travel. But it’s very essential to do research prior to your journey in order to find the best service for your transportation. For those interested in getting an experienced and reliable service, here are our few basic tips to get started. The first place to start the searching process is to understand the history and reputation of a particular company. That means, you should find out how long has the service been in business. What do their previous customers say about them? 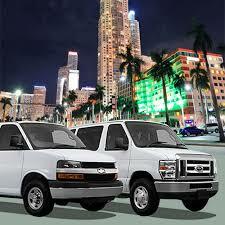 All these aspects are essential to know about when looking for a good reputable shuttle service from Orlando to Miami. Many customers are always looking for safe, comfortable transportation offering best in class vehicles and superior standard customer service. The longer the service has been in business, the more likely the company is experienced and can handle any unexpected circumstance delightfully. The great sign of a shuttle service is the one that has a suitable array of vehicles, which are maintained properly. While newer vehicles are always good, but older vehicles are appropriate if it’s apparent that they have received the perfect care and attention. After all, the condition of vehicles is essential when a service transports people where they want to. Those in the perfect will be the safest and most comfortable. No one says more about the Orlando to Miami shuttle services than the chauffeurs representing them. For this purpose, always look for a company that provides shuttle transportation with well-groomed, well-uniformed, friendly and helpful drivers. It’s obvious that experienced drivers can deliver the best services suiting their passenger’s needs. When looking for the best service, it’s perfectly agreeable to ask every details of the shuttle company like the background, any testimonial regarding the drivers and also the Orlando to Miami shuttle bus routes. The costs of shuttle services vary incredibly from company to company for a good reason. Before choosing a particular company, consider all the important points discussed above. To be sure you get what you expect, it’s important to confirm what’s included in the pricing details. When hiring a shuttle service from Orlando to Miami for your transportation or any other reason, consider a company that will provide the superior standard services at the best possible prices. Florida Shuttle Express, a premier shuttle service provider in Florida has been offering picture-perfect vehicles delivering the needs and requirements of clients. Click here, to make a reservation online and let us serve you with a relaxing, safe and enjoyable transportation. Don’t be disappointed and book your well-researched service at Florida Shuttle Express with confidence and enjoy the ride! Feel free to contact us online or connect with us through our Facebook, Twitter and Google+ page, if you want to know more about our service and pricing details! My husband and I are planning a trip soon, so we are looking for the perfect airport shuttle service to use. So I appreciate your tip to find a company that employs friendly and experienced chauffeurs since they’ll be able to suit our needs in the best way. Since we want to have the most pleasant journey possible, we will definitely have to find an airport shuttle service with very professional chauffeurs. Thank you. Our Florida airport transfer services are available all year round. « Why Shuttles Are The Best Way To Travel From Orlando To Ft Lauderdale?